You may have a few more weeks but school starts in my town on August 5. I know some of you may be ready to hand your kid the backpack and lovingly shoo them out the door. But not me, I’m not ready for summer to be over. I’m not ready to give up mornings at the pool and watermelon for dinner. I’m already dreading the homework and the rush. But, alas, I can’t stop the spinning of the earth and the rotation of the calendar. The rhythm of school is upon us. I have spent so much of my summer praying for teachers, the students and the administration and now, it is time to come out of the prayer closet and shine Jesus in the school. As I release my child into the care of our public system, I don’t want to forget that the presence of God is with them. I want to show and encourage my children to include Jesus in their day. 1. Pray With an Audience. Pray for your child’s teacher and classmates in the presence of your child. Your audience is obviously God but by allowing your child to hear you, you are modeling trust in the One who holds their school days in His hand. The start of school brings with it routine–a rhythm to function by. It is the perfect time to make God’s Word part of your family’s routine. Our family reads a devotional or Bible story in the morning during breakfast. Depending on the age of your children you can find lots of age-appropriate resources. We actually do 4 different books or children’s Bibles and one iPad app that we rotate daily to keep it interesting. Here are an example of our 4 books/Bibles. Some appeal to my older child and some to my younger (that’s why we rotate). 3. Let Your Child’s Teacher Know They Have Been Prayed For. Okay, so your child’s teacher isn’t a Christian and may not care if you prayed for him or her. However, there are few people that don’t perk up when they hear they have been prayed for. That simple little statement in the form of an email, a note or in person communicates that you care about them, your child and your relationship. It also becomes an opportunity to demonstrate the love of Jesus throughout the year without having to use words. Your attitude, your support and encouragement is opportunity to shine Jesus. Before your child walks the halls of his school, talk about the students that are hurting. By focusing on others that are hurting whether from broken families, health issues, academic or social problems, you are teaching your child to care for others before themselves. You are strategizing about how to shine Jesus in their school. Listen, it takes intentionality for us all. When we direct our attention on the pain of others, we concentrate less on our own troubles. Your child may be struggling, they may be having a hard time but teach them to show Jesus’ love and their problems will be less daunting. Sharing Jesus with my family and the lost world takes intentionality. 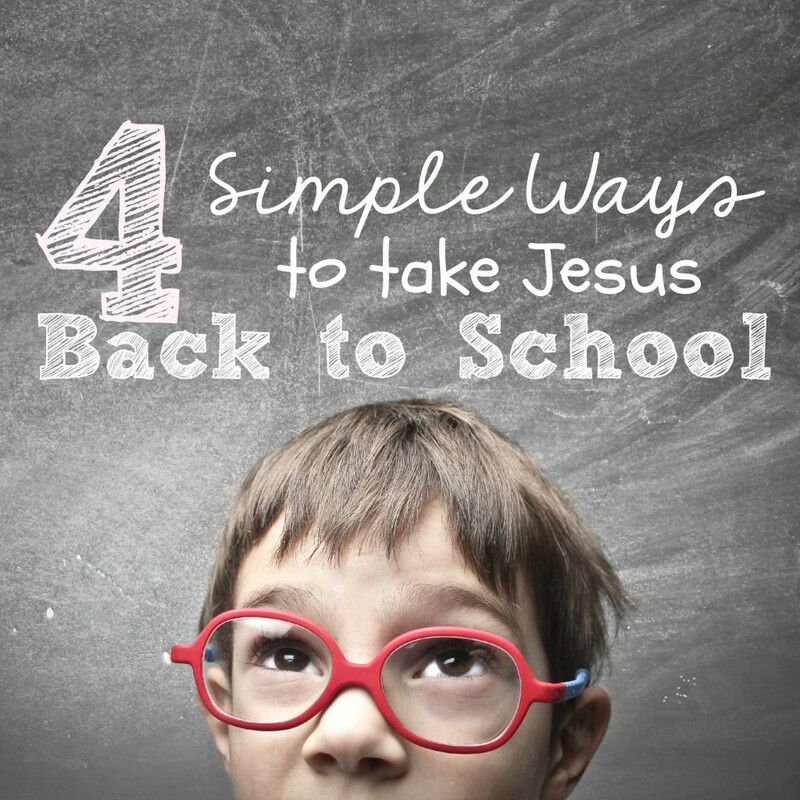 What are ways that you include Jesus in your school day? Leave a note in the comments to share your ideas.